I currently head up Marketing and PR at Chupi. I manage the marketing, pr and social media strategy and implementation for chupi.com. 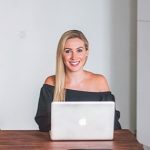 My role is a huge mix of creative and analytical so on a typical day I could be: creating a digital campaign, producing a photoshoot, organising an event or sending out a press release. I originally studied Commerce and then a Masters of Science in International Fashion Marketing. Not long after my studies, I moved to Sydney where I ended up living for almost 8 years and working for some amazing fashion and lifestyle brands. I have over ten years’ marketing/comms experience across various industries including: fashion, lifestyle, events, health & fitness, publishing and technology. My specialties include: content marketing, social media, event management, influencer engagement and brand strategy.